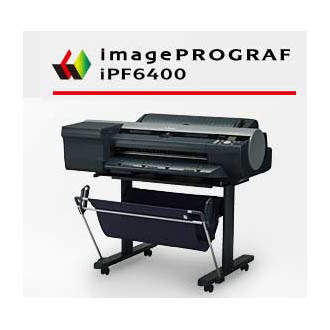 The iPF6400 and 6450 are Canon’s latest 24″ large format printers. 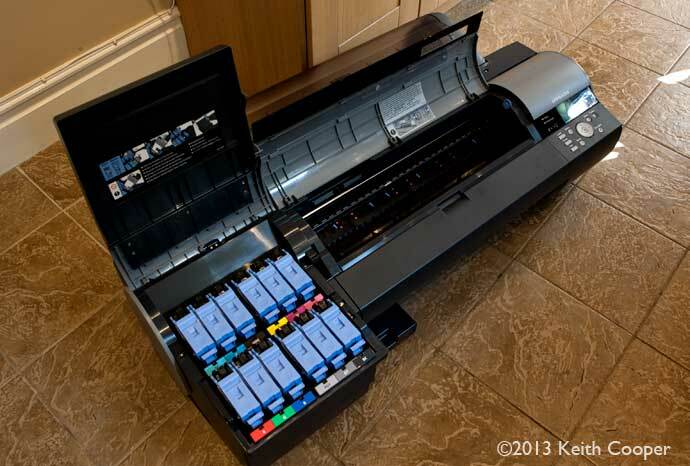 The main difference is that the 6450 has an internal hard disk for storing print jobs. 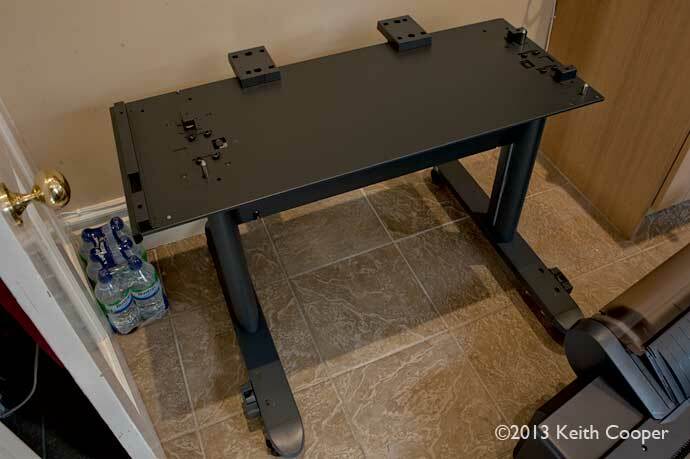 We’ve recently (May/June 2013) had an iPF6450 here for Keith to write a review. Normally our big printers turn up ready to go, but this one was delivered in its shipping crates. 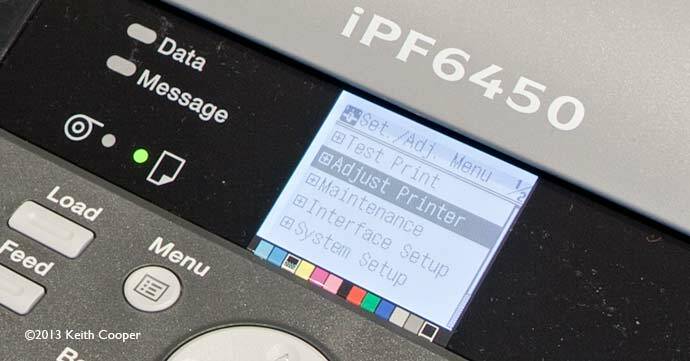 We have a detailed review of the iPF6450 and shorter one covering the SU-21 spectrophotometer attachment, but this article covers just the assembly of the printer. 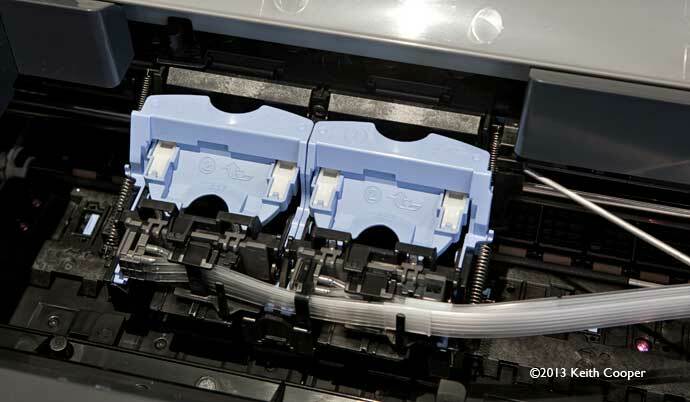 Note that the SU-21 only works with the iPF6450 – the iPF6400 lacks the socket for the SU-21 to plug in to it. 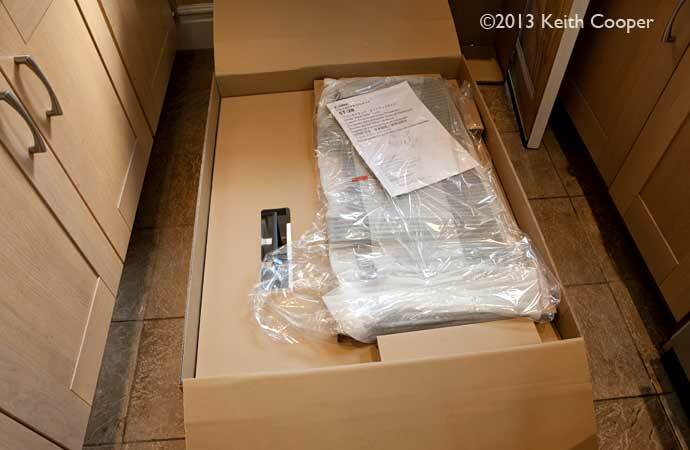 The printer comes in a lot of big cardboard boxes. 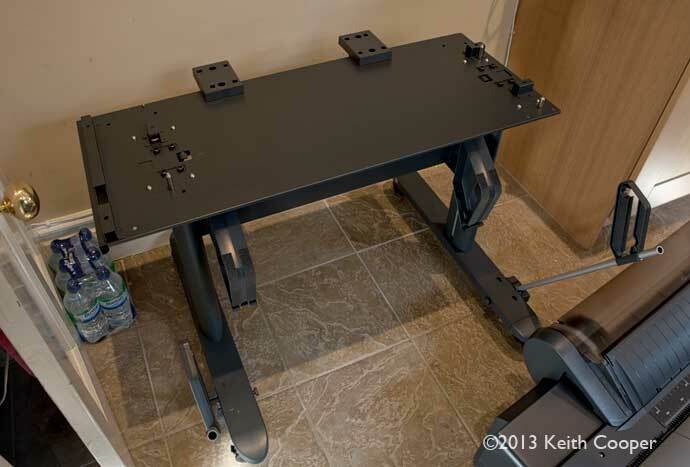 If your supplier isn’t delivering it and assembling it, then you’ll need to set it up yourself. The job really does require two people for several stages, and note that if it’s coming via a courier, you’ll be lucky to get more than having it dumped at your doorstep. Everything is very well packed, and the instructions well written and clear to follow. This is the box for the printer stand. The various nuts and bolts. Tighten the bolts well, although I noted that the top plate bolts have thread-lock compound applied. 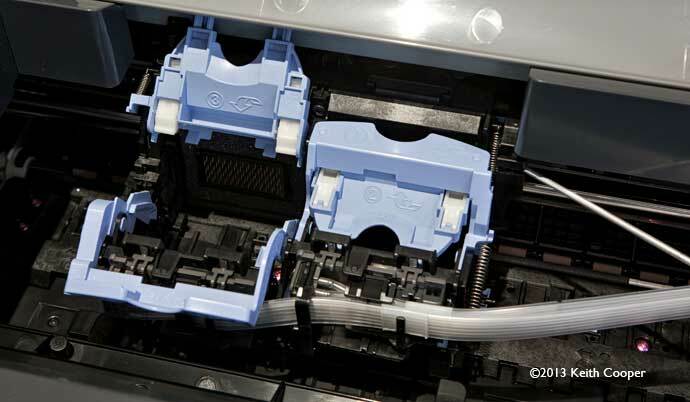 The printer securely fits in place on the top tray – two locating pins mate up with holes in the printer base. 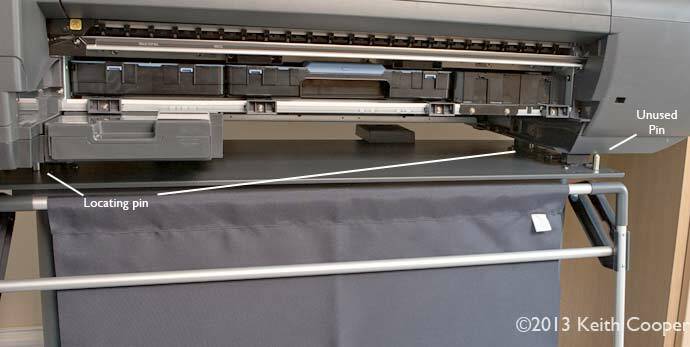 Screws fasten the printer in place. Note that there is an additional unused locating pin – this is connected with the optional SU21 spectrophotometer unit, which I’ll cover in another article. 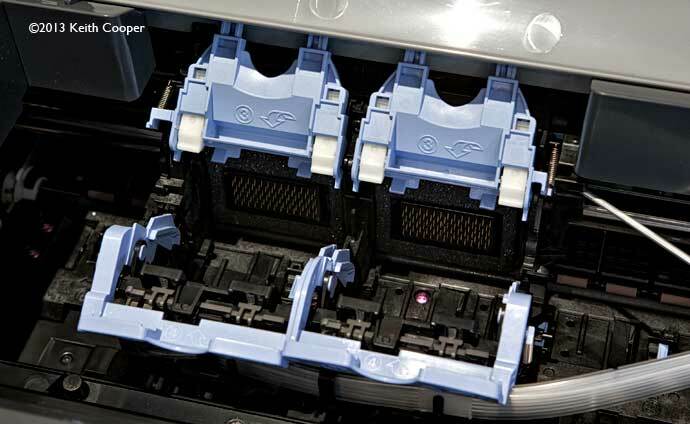 The printer comes with a set of ‘starter’ cartridges, which contain ‘only’ 90ml of ink – these need loading into the printer. You can see I’ve re-attached the lower front cover, in front of the maintenance cart slot. It simply clips into place. The carts need installing before the two print heads. I switch on the printer, and the display screen guides me through the setup (although, the printed sheet is perhaps more convenient). 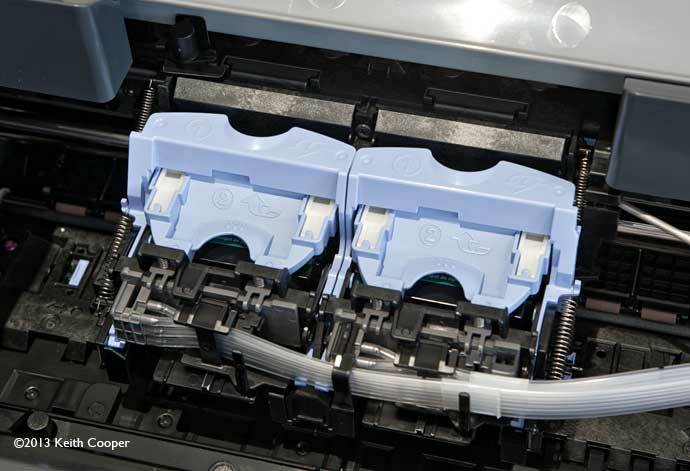 These need filling during the initial setup, with ink from the freshly installed cartridges. 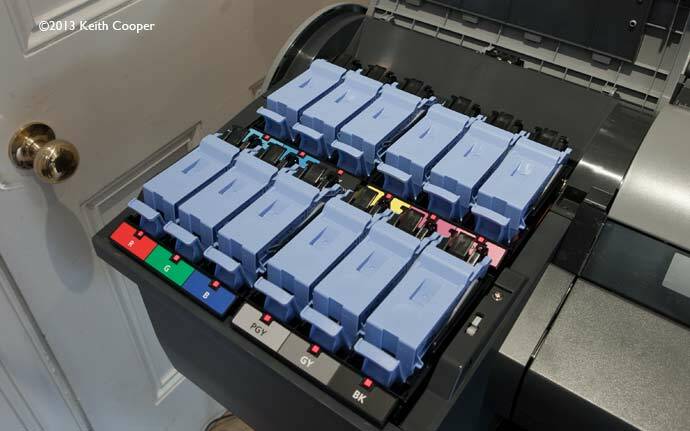 This filling (and the ink lines to the printheads) mean that when you’ve finished the setup procedure, it’s likely that at least 40% of your ink will appear to have vanished. Well, it has gone form the carts, but is still in the system, not flushed through into the maintenance cart. 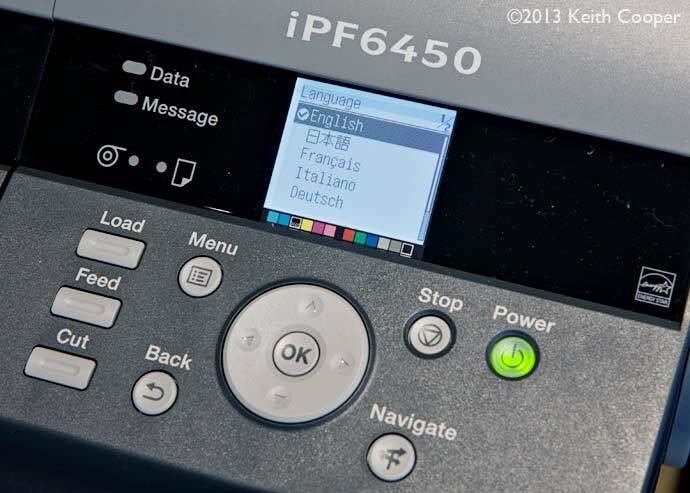 The printer does ask a few basic questions when it powers up, such as the time zone and working language. The clamp needs a firm push to lock in place – be careful with this first one, you don’t need to put your whole weight on it! If the art is mis aligned it will be quite obvious. 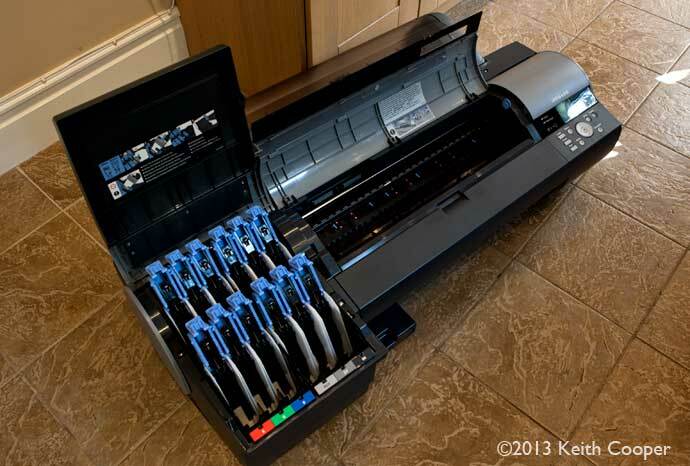 All twelve ink cartridges in place. Now for the two print heads. 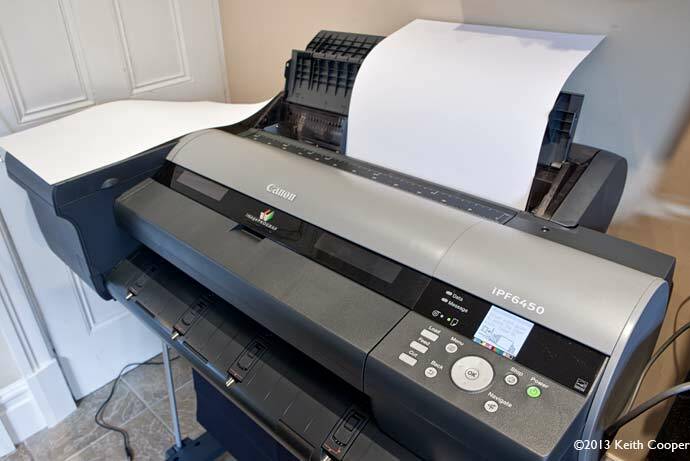 The printer is supplied with several A2 sheets of HW Coated paper, which you can use for head alignment and subsequent calibration. 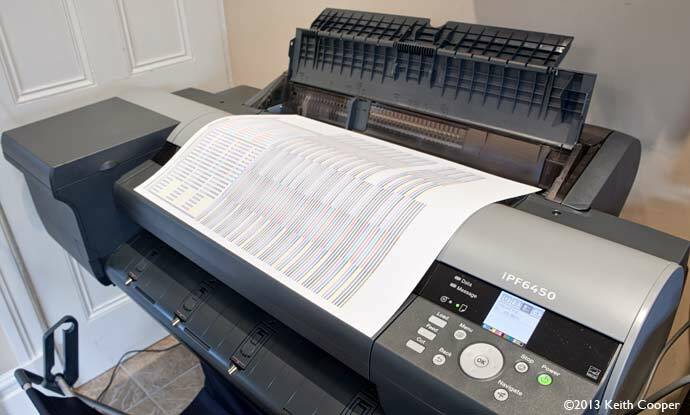 You need to load a sheet – first tell the printer that you’re using a sheet. The paper type is available in the standard paper menu. 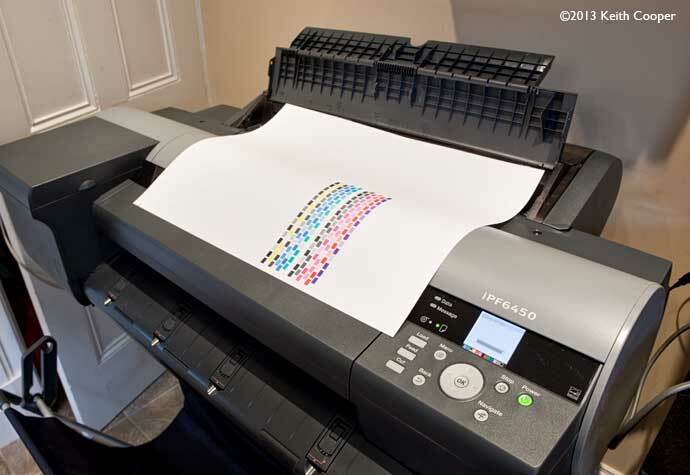 Follow the instruction to load a single sheet. 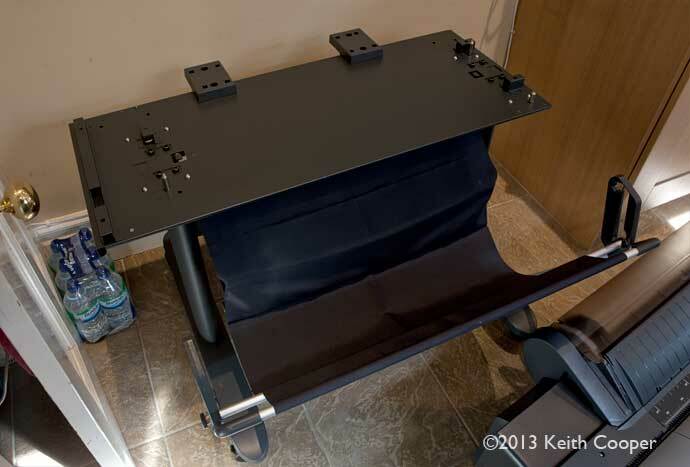 Once set up, the head adjustment setup will occur. 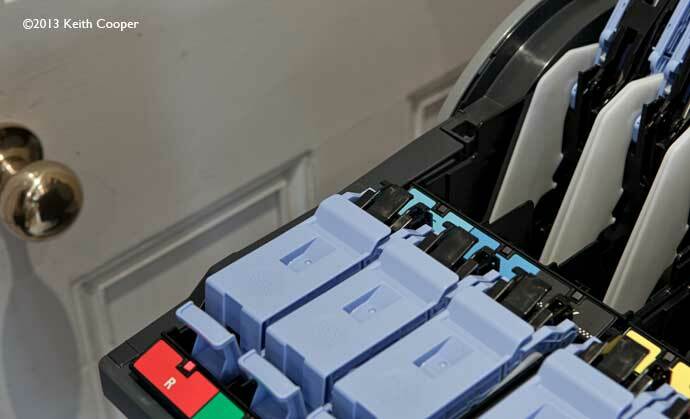 Various patterns are printed and then measured by the sensors on the print carriage. If you look through the right hand window, you’ll see red green and blue lights from the inbuilt colorimeter and paper measurement unit during the process. The adjustment sheet – after head alignment. 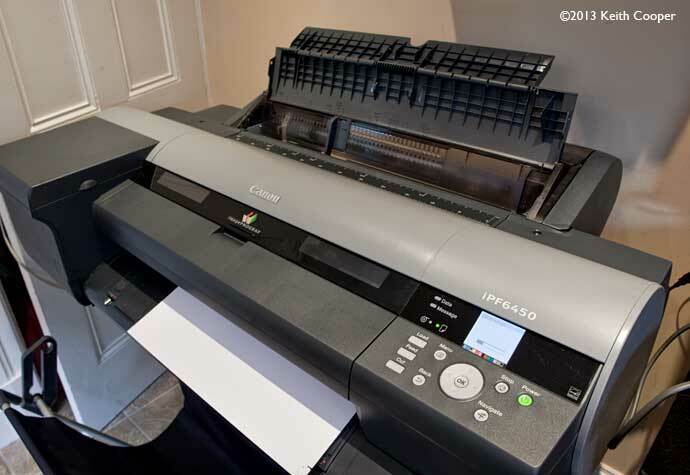 You printer is now ready to use, but I’d suggest spending a while longer, running a calibration print, before diving in to driver installation and network setup (these are covered in the main review). 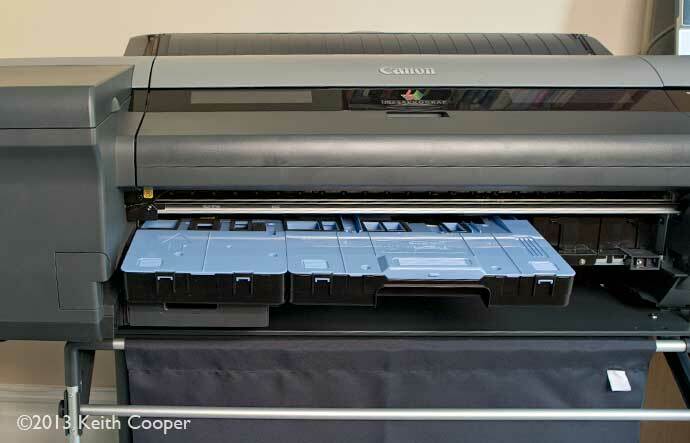 Calibration is set up through the main printer menu, and requires another sheet of a known paper. 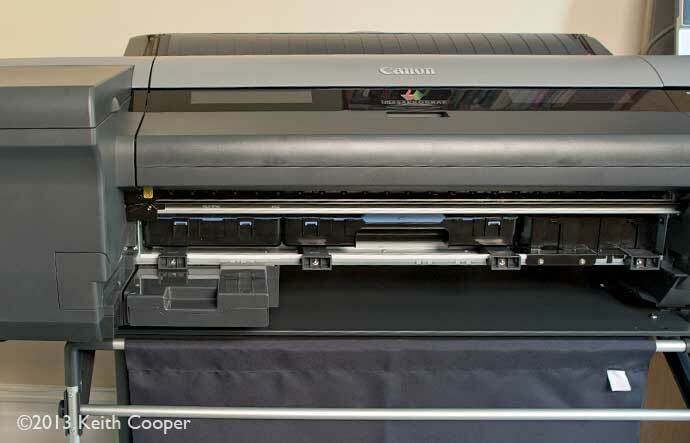 I’d suggest running the calibration after initial setup, after your first ink change and then every so often after that. Also run it after print head replacement. 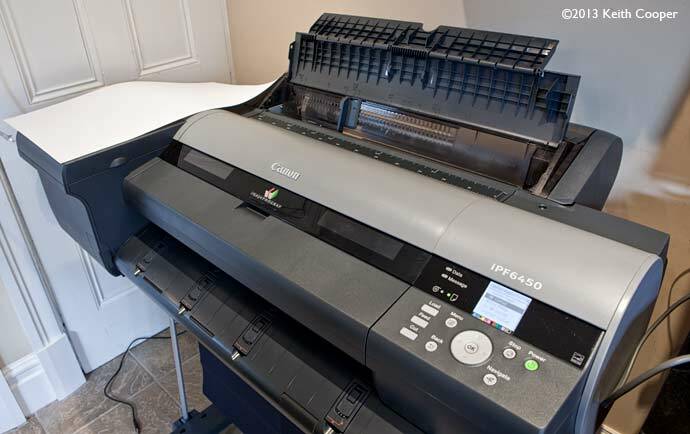 I say ‘every so often’, since this depends on how much printing you do – with our iPF8300 (light use) I do it every 8-9 months. 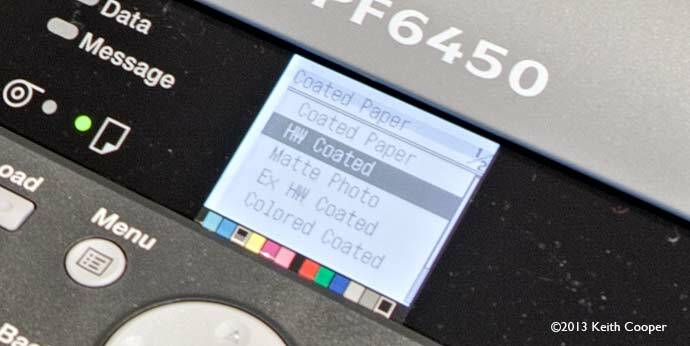 The calibration process is different if you have a printer with the spectrophotometer attachment, where you’re likely to want to do it more regularly (the spectro is not for casual ocasional paper profiling use, such as I’d want – remember hat I’m looking at fine art photo printing, not prepress and proofing). Start in the adjustment menu. Automatic is what we need. 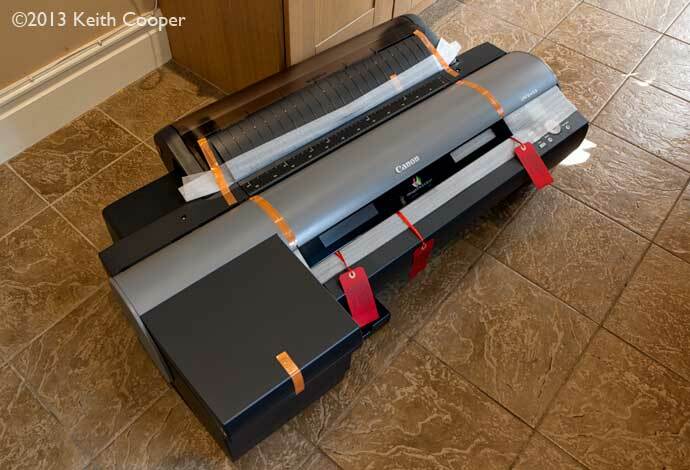 Allow a good couple of hours to set up the printer from delivery. 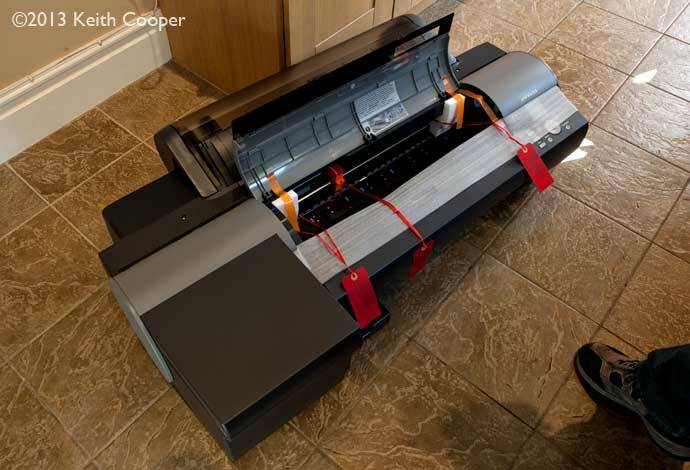 The empty printer can easily be tilted up to get round corners and stairs – this is not advised one it’s full of ink. 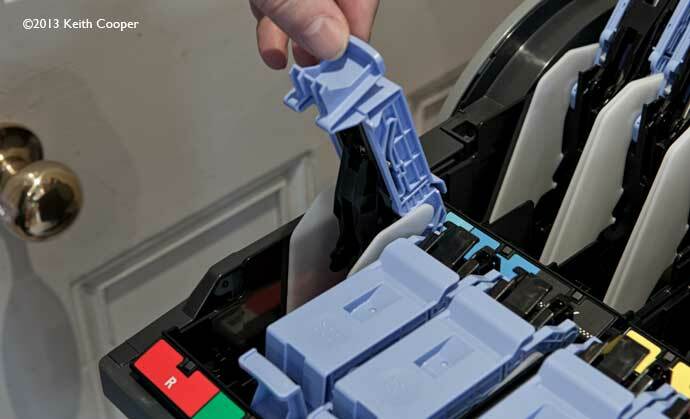 Ink and printhead loading should be carried out where you are going to use the printer, if there are any access issues. 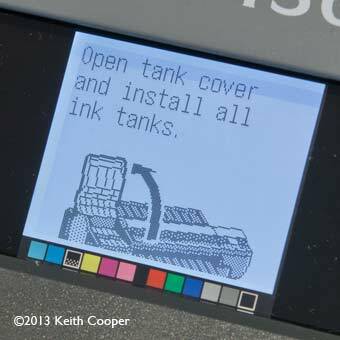 The printed guides and on-screen instructions are clear and easy to follow. 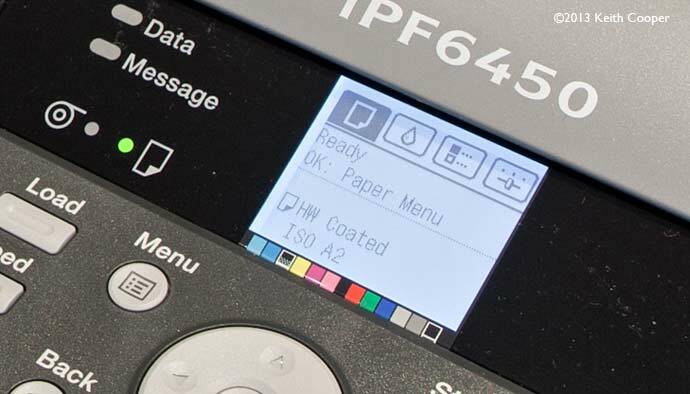 Those ‘starter’ cartridges do go down a fair bit at the start – I’ll cover ink use in our main review of the iPF6450. One final note. 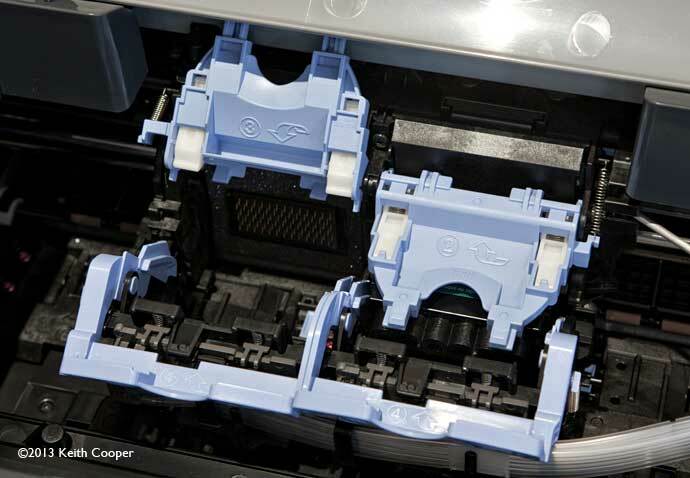 Once filled with ink, you should not tilt the printer very much when moving. 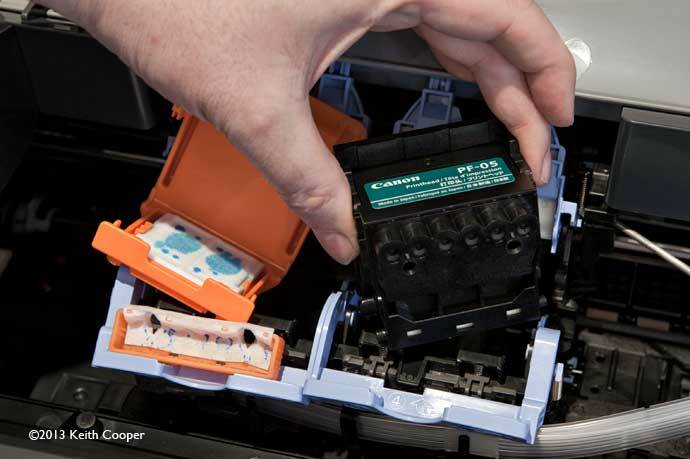 When it came to taking the printer back to Canon, the roll paper unit was removed (two screws at the back) to reduce the depth of the printer and enable it to be carried (after detaching the stand) to the back of an estate car (station wagon). 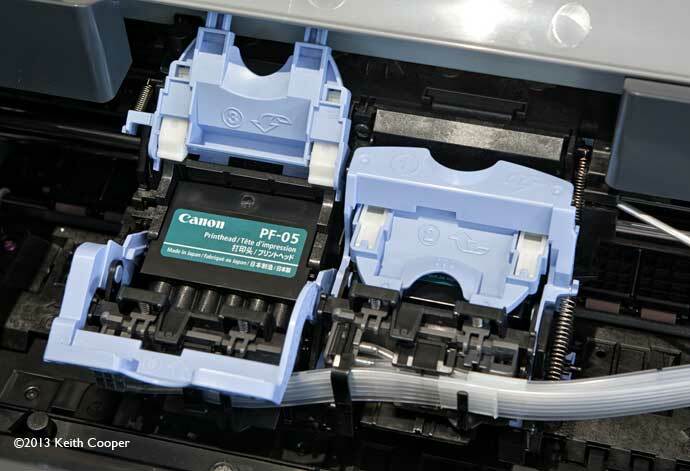 The printer can be drained of ink (from the ink sub-tanks) but it would not be cheap. 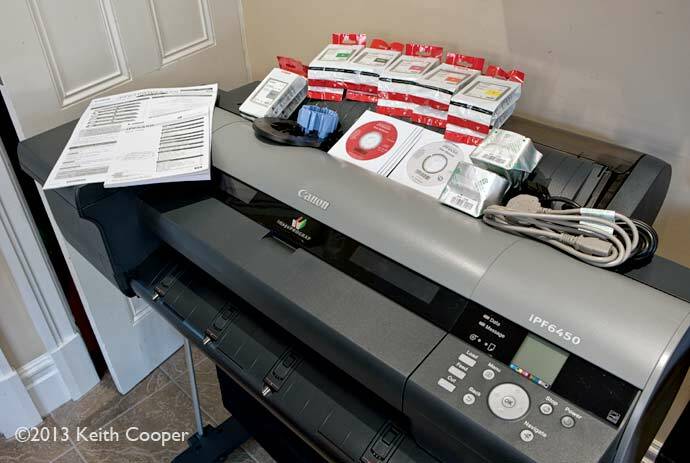 Plan ahead for delivery, if printer assembly is needed. 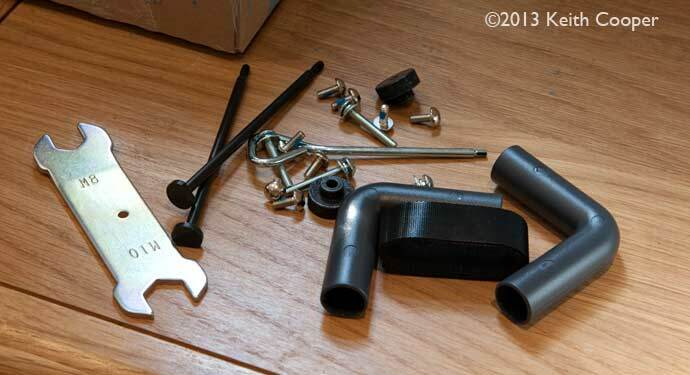 Two people are required for setup, and remember to allow for a lot of left-over packaging once you are finished. Physical Dimensions (W x D x H) Main unit with Auto Roll Feed Unit (standard) – 1,227 (W) x 702 (D) x 344 (H) mm; Weight: approx. 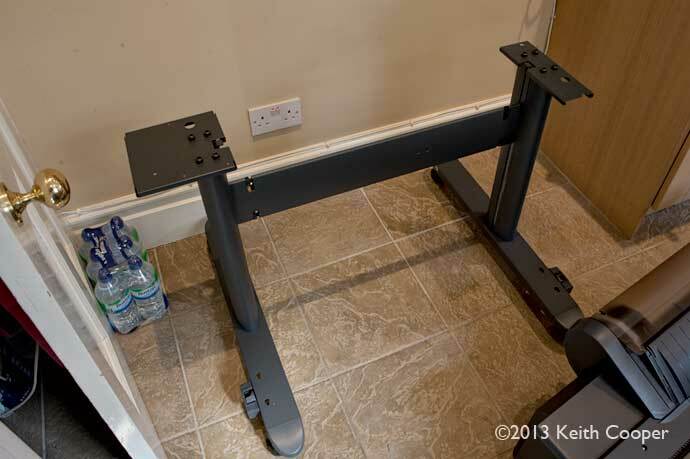 54kg (excluding consumables and printer Stand).